The final outfit required for Miss Pinup NZ is evening wear. This segment is all about the glamour and showing your classy side ;) Deciding my evening wear was definitely my biggest challenge as I'm more of a casual kinda gal. My Pinup Girl Clothing Monica dress in lavender, silver lurex had been hiding in my closet and needed a new lease on life. I've always wanted to add a tule fish tail design to the bottom of my Monica for a burlesque costume, but decided the competition was more of the opportune moment to do it. Inspiration for my evening wear also stemmed from Marilyn Monroe, and finally, the time I visited the Monte Carlo casino on Christmas Day in 2012. The talented and very sweet Devel Branded adapted the Monica by adding numerous layers of tule to the bottom, and shortening the sleeves to create a different look. The dress is so divine, I just love it. For the final section of my Miss Pinup NZ posts, I will be discussing the talent section, Top 4 Finalist Q&A, and last remaining comments and tips on the competition. The second segment of Miss Pinup NZ is to strut your stuff in a beach wear outfit. This is your chance to really have fun and cutesy up your pinup poses. At first I was in two minds as to what to wear. Do I go with my love of nautical style or my love of tiki style?! Ultimately, I sided with my love of tiki style, especially because one of my favourite New Zealand designers, queen of tiki style, agreed to create my outfit. I love flamingos! I even have a tattoo of one. Once I sourced the fabric for the outfit, everything flowed from there. So I decided, let's just go crazy with all of the flamingo matchyness. The outfit I had in mind needed to be fun, bright and resemble swimsuits from the 1950's. 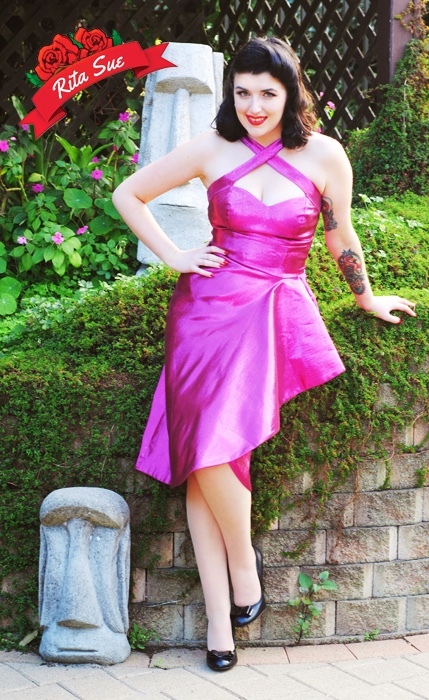 Next up on the blog, my evening wear outfit for Miss Pinup NZ. 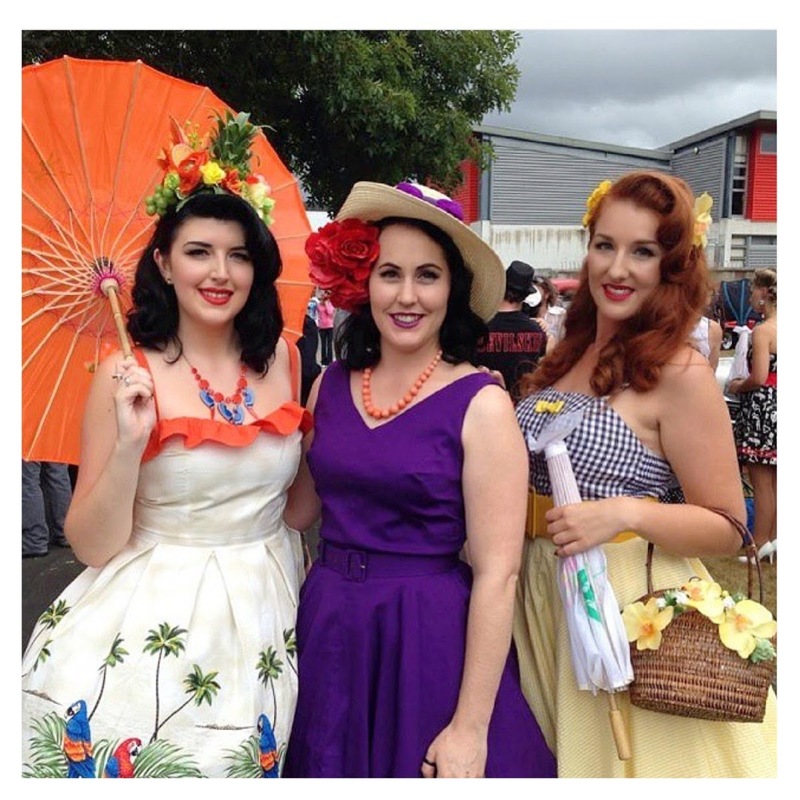 One of the requirements for the Miss Pinup NZ competition is to showcase a day wear outfit. Inspiration struck quickly for this outfit; I decided to pay homage to my first pinup photoshoot which was located in the JukeBox Diner, Hamilton. I wanted to look like your classic 1950's diner girl, which is a look I love! The dress, shoes and hair scarf were already items I owned. So all I needed to purchase was the petticoat, bag and brooches. Shoes - Melissa x Victoria Westwood. Found on Ebay secondhand. 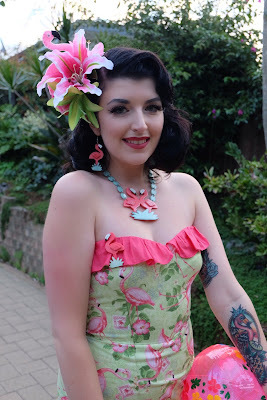 Next up on the blog, my beach wear outfit for Miss Pinup NZ. 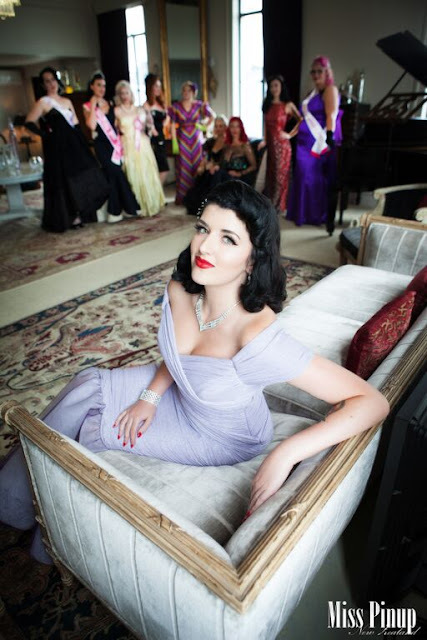 I was constantly battling with myself whether to enter Miss Pinup New Zealand 2015. "Am I ready? The other girls entering are so amazing. I think I need more time to promote myself before entering". These are only a couple of silly thoughts racing through my mind as I once again, tried talking myself out of challenging myself. 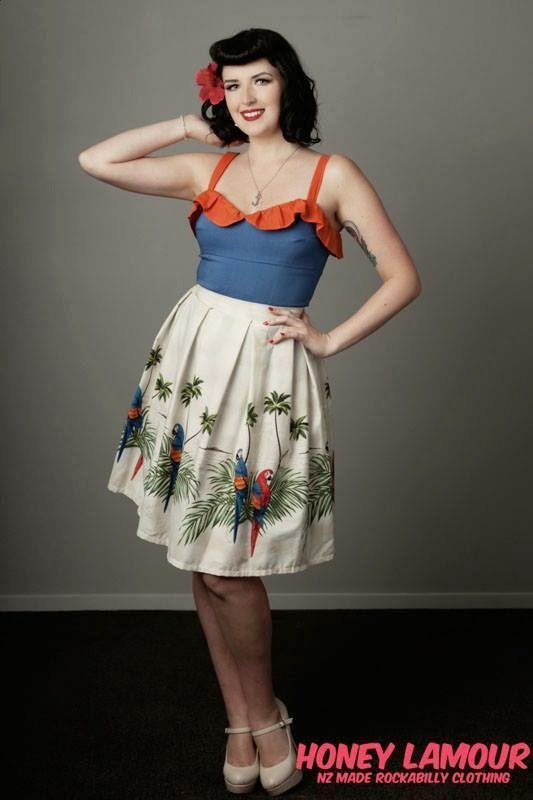 Since the beginning of 2014 I knew I wanted to compete in Miss Pinup NZ. Deep down I knew it would be an amazing opportunity and a great way to get myself out there. With a lot of support and help from my friends, I pushed my doubts aside and went for it. 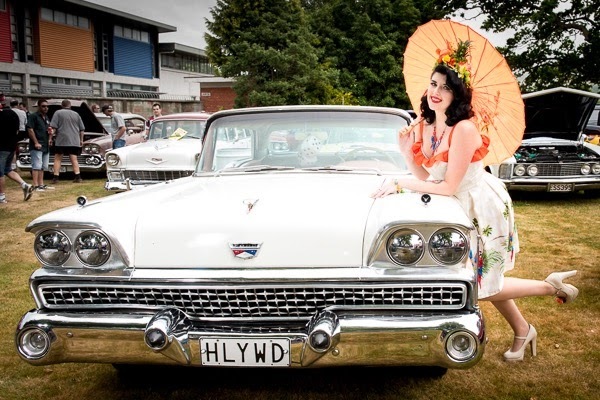 To enter Miss Pinup New Zealand you need to submit 3 professional quality, pinup style photographs of yourself; answer 5 questions; and submit a 2 minute video showcasing yourself and a talent. My first burlesque show was back in December 2011 and I have been hooked ever since. I was involved in theatre back in the day so Burlesque appealed to me in the sense that you can be the complete master of your own show. Also all the sparkles and glitter helped lure me in too. My main burlesque style is 'cheesecake' and I tie in my love for pinup into my performances. 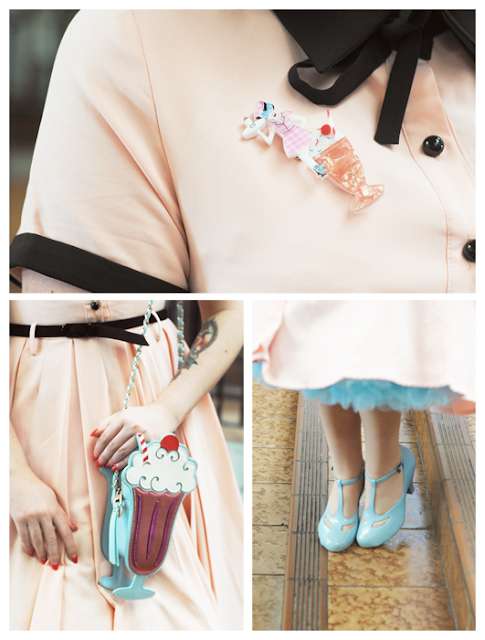 My pinup fashion style is generally ‘modern pinup’. 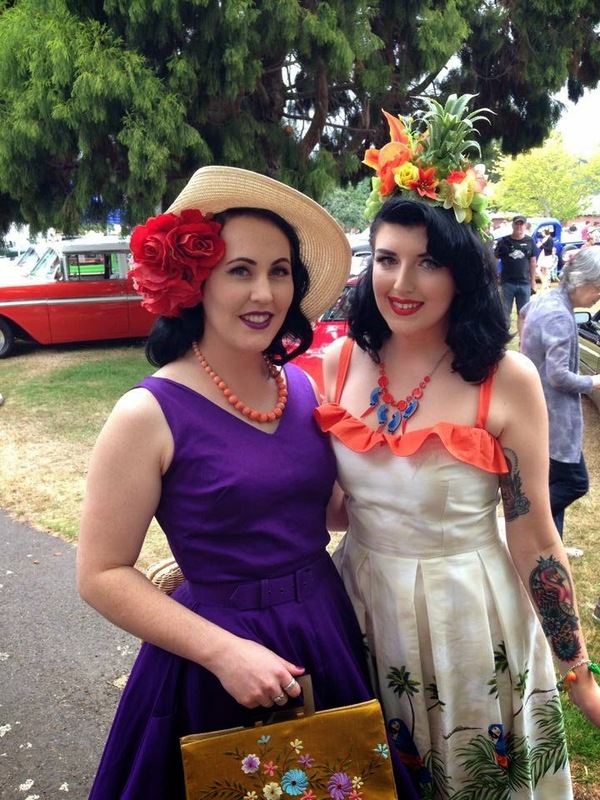 I love dressing in my bold coloured swing dresses, tiki/rockabilly outfits and alternative goth/punk pinup attire. Aside from my alter ego activities, I have a love for travel, various genres of metal music, anything nautical themed and collecting art. 2. 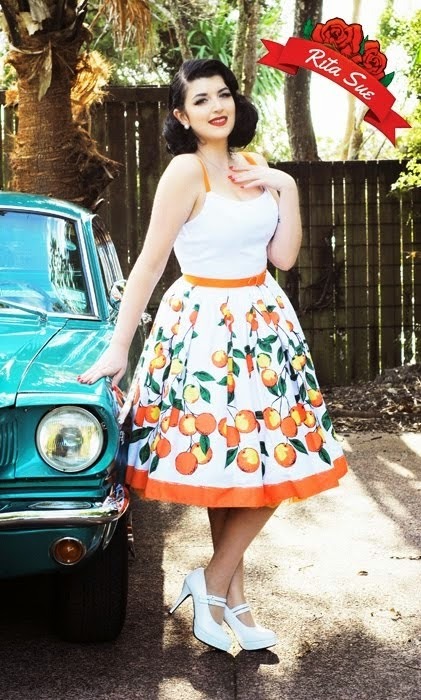 What is about vintage and pinup culture that you love? What I love most about vintage and pinup culture is how it makes me feel. With the outfits, hair and makeup all tied together, I feel so glamorous. 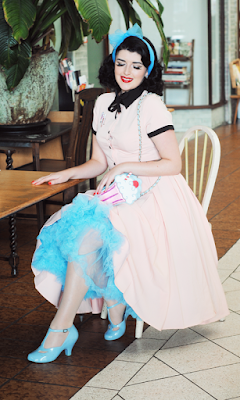 Dressing in pinup style is a real confidence booster, when I am out and about I always seem to receive friendly smiles and compliments from strangers. It’s lovely! 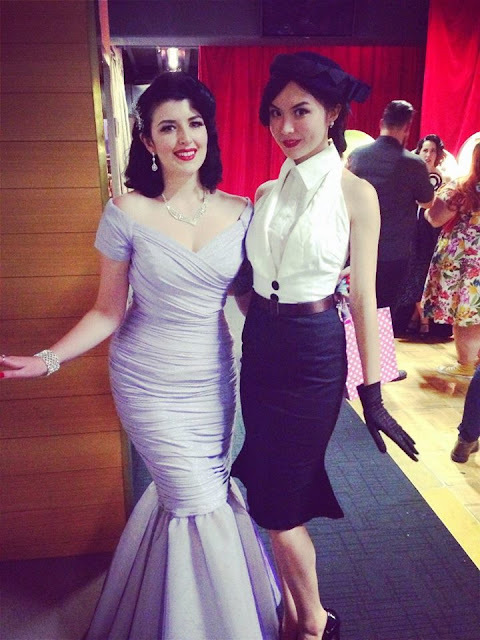 I also love how the vintage and pinup culture has allowed me to meet so many amazing and talented people. This is a tough one; there are so many pinup icons that have aspects that inspire me. However, I do favour Micheline Pitt and Bettie Page but I shall explain why Micheline is my favourite. Aside from the fact that Micheline models and designs for one of my favourite clothing labels, she is my ultimate style inspiration. 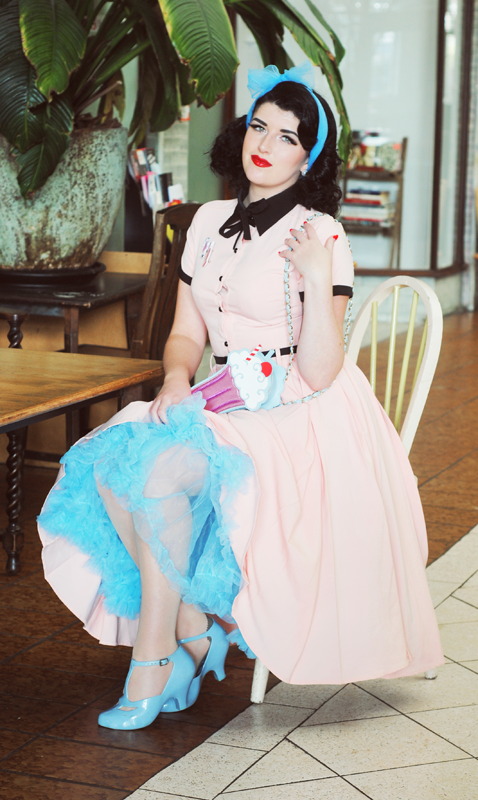 Micheline has an art for collaborating modern and classic vintage/pinup fashion flawlessly. I love the gothic/punk edge she puts into her pinup style. As I am a bit of an alternative metalhead, this appeals to me very much. I also admire Micheline’s hair and makeup artistry, it is perfection. 4. What would winning the title of Miss Pinup NZ mean to you? Winning the title would be a dream come true and mean I would have achieved an ultimate goal. Winning the title would create fantastic exposure to promote myself and my pinup profile further. I feel it would create opportunities to be featured in pinup magazines and to compete in international pinup competitions. 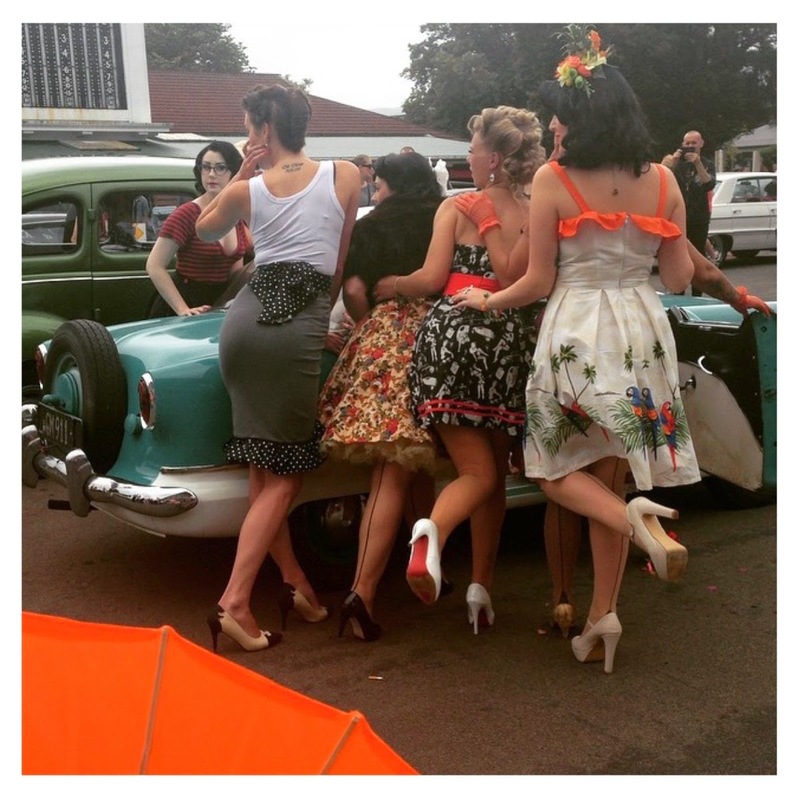 It will also help provide more involvement within the local pinup/vintage community. 5. What is your top tip for being a pinup? Confidence :) No matter your shape or size, a pinup requires confidence within herself. It takes courage to step in front of the camera and work a pose. 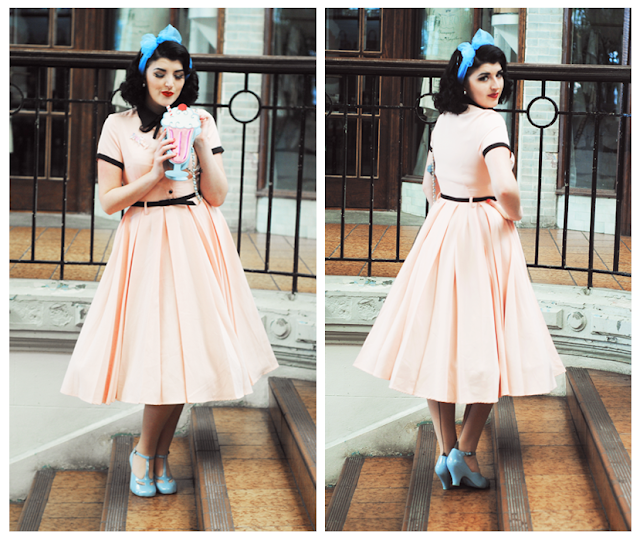 You need to feel comfortable rocking your pinup/vintage style. I also feel it’s important to encourage other pinups and women to fulfil their true potential. These aspects require confidence which in turn creates what it takes to be a true pinup. A massive thank you to my friends Charlotte and Scott for creating this video. My entry would not have been possible with out them. 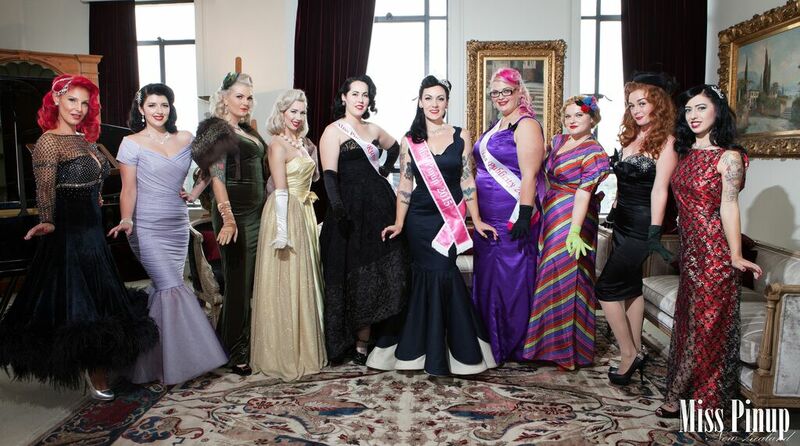 I found out I made into Miss Pinup NZ in a really special way which was part of a certain YouTube channel. All will be revealed in a few months time. 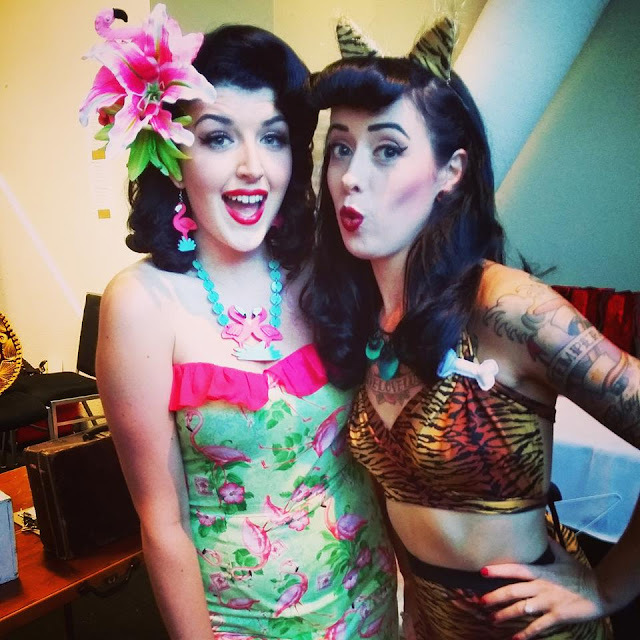 To compete in Miss Pinup NZ, you need to showcase on stage a day wear outfit, a beach wear outfit, evening gown attire, and finally, a talent. The competition takes place at The Very Vintage Day Out in Auckland on a weekend in April. If you're looking for a dress that screams Va-Va-Voom, the Voodoo Vixen Dress from Pinup Girl Clothing can fulfil that wish. Thanks to Rita Sue Clothing, I had the chance to model and review 3 of the Deadly Dames Voodoo Vixen dress designs. The Lame has a little bit more stretch than the Monster Print. I do feel Deadly Dames can be a little more snug around the waist and chest than Pinup Couture designs. Pink Lame is definitely not for the faint of heart. I did feel slightly like Barbie who was ready for a night out on the town (not like that's a bad thing). It is a beautiful colour and if you're wanting to make a statement, the pink is for you. After trying on the Pink and Green Lame, the green is my favourite. The green is more subtle but still packs a lot of wow factor. 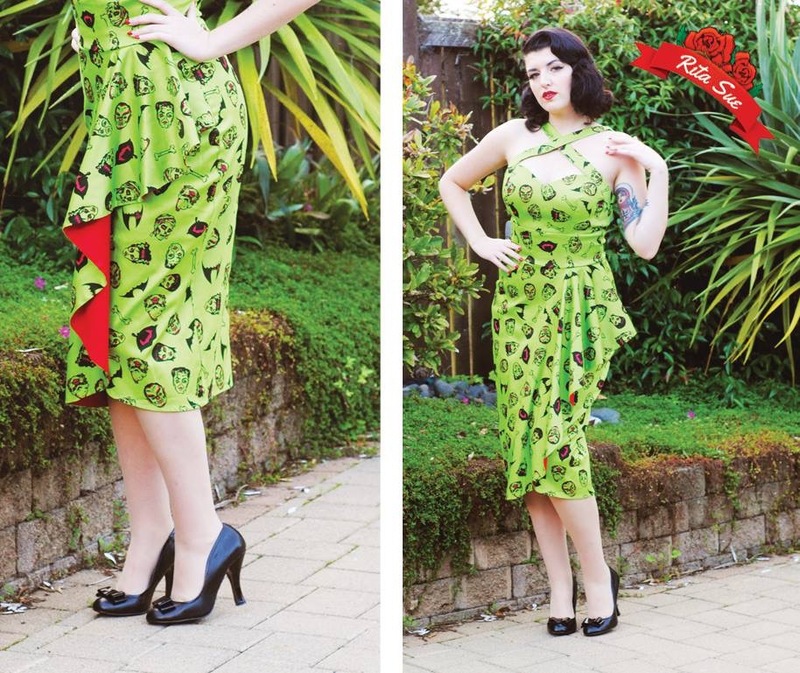 Monster Print is one of my favourite novelty prints from Deadly Dames. It suits this dress perfectly and I love the peek-a-boo red underneath the ruffle layer. If these colours don't tickle your fancy, it also comes in black, tiger print and zebra print. 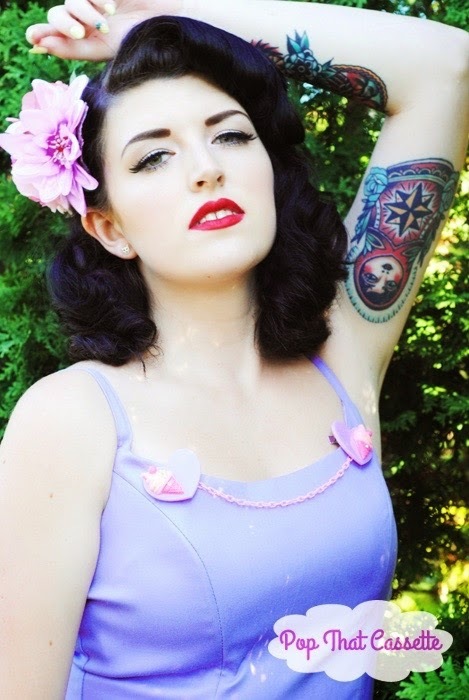 All 3 dresses are of very high quality and are made in the USA like all of the Pinup Girl Clothing House Brands. I moved into a 3 bedroom flat with my partner a couple of months ago which allowed me to utilise the spare room as boudoir. I felt this was the opportune moment to breath some new life into my old draws and shelves that I've owned since a kid. Besides, every pinup needs a gorgeously decorated boudoir, am I right?! Below are the steps on how I approached and created my first DIY project of painting shelves. Seeming it's my first DIY project it's not the most exciting, but later in the year I will be redecorating my draws and a vintage writing desk. 1. Research inspiration and plan a colour scheme. I definitely knew I wanted mint green as my main colour but I tossed around on what colour to pair it with. I narrowed it down to either mint green and light pink, or mint green and white. As dreamy as the mint green and light pink was pictured in my mind, I decided to go with the safer, subtle option of mint green and white. Etsy.com was my main source of inspiration on how I wanted to paint the shelves. I searched options such as, "retro shelves", "vintage shelves", "mint green shelves". Choosing the paint was actually quite time consuming. Finding the mint green wasn't too difficult. I matched colour swatches against my shorts which were also mint green. It was helpful to directly have the comparison. Choosing the white took quite a while. There are so many shades of white!! It was a fine line of ensuring I wasn't choosing a stark white or something too creamy. Note: Make sure to buy tester pots to save yourself money as that's all you're going to need. This is the worst part. Sanding is not fun (well, for me it's not). My partner let me use his electric sander to make the job easier and he showed me how to use it. At first it was terrifying, I thought the sander was going to fly out of my hands. Make sure there is a fresh sheet of sandpaper attached to it. Wipe any dust of the shelves. I laid the shelves on its side to ensure it was sturdy while I worked. Ensure the sander is constantly moving across the surface. Do not hold it still on one spot for too long. Note: I advise not sanding inside your house. Take it outside or into the garage. Wipe clean all of the sanding residue. I painted the inside of the shelves with the Horseshoe falls using a roller paint brush. I used an ordinary paint brush to take care of the corners. Ensure to apply your coat evenly as possible to avoid discolouration. Next, I painted .... on the outside of the shelves in the same method as above. Let it dry. Paint a second coat if necessary. I competed in the very first Miss Moonshine Pinup competition on the 1st of February 2015. The competition is organised by New Zealand's Glory Day's Magazine and is held at The American Vehicle Day, Trentham, Lower Hutt. "I am Soda Fontaine, Pinup Girl and Burlesque Performer. My first burlesque show was back in December 2011 and I have been hooked ever since. I was a bit of Theatre Geek back in the day so Burlesque appealed to me in the sense that you can be the complete master of your own show. Also all the sparkles and glitter helped lure me in too. My main burlesque style is 'cheesecake' and I tie in my love for Pinup into my performances. I also have a love for travel, various genres of metal music, anything nautical themed and collecting artwork." On the day of the competition, contestants are given the opportunity to arrive at the venue early and pose with classic cars with a professional photographer. You can pose by yourself and have numerous group shots with the other contestants. I decided to wear a different dress for the photos and competition but kept them in theme so I didn't have to change my accessories. Next it was competition time and all 16 pinups lined up to take the stage. One at a time, we had to walk the catwalk, work a pinup pose and lastly, say something about ourselves in front of the crowd. The judges tallied the votes and Miss Monique Sweet is announced as the winner. Miss Monique Sweet rocked the most amazing custom made watermelon circle skirt, with matching cardigan and accessories. 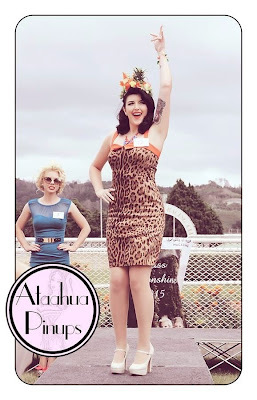 Miss Moonshine was great practice for Miss Pinup NZ which I will be competing in within a few months. I highly recommend the competition for pinups who are starting out or whom are wanting stage practice. Pineapple Flower Crown custom made by Pop That Cassette. Fruit Charm Bracelet custom made by Pop That Cassette. Both dresses custom made by Honey L'Amour.